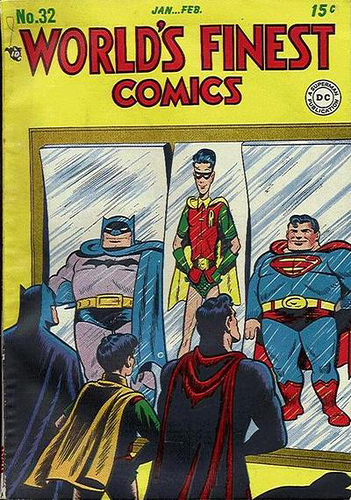 DC’s New 52 reboot hit on all cylinders when it first debuted. For months, DC dominated the sales charts, but since then things have begun to settle down and lately DC has settled into more or less the same number two position it usually held against Marvel. I think part of the problem has to be that with a new continuity, you lose some of the gems of the old continuity. Gems? Or lumps of coal, you decide. This is one character I guarantee the New 52 will not debut any time soon. 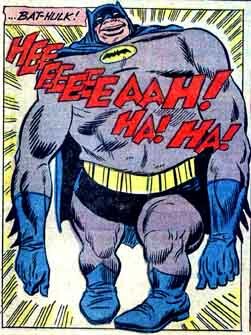 When the Riddler, Joker and Penguin team up together to commit a series of crimes to grab Batman’s attention, he falls into their trap which leads to Batman being exposed to a chemical of the Joker’s design that causes Batman to periodically change into a creature dubbed “Bat-Hulk”, a giant muscle-bound creature who’s touch can melt anything in it’s grasp. 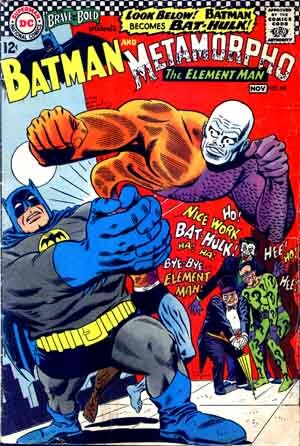 Changing back to human form, Batman seeks out the aid of Metamorpho to try and find a chemical combination to reverse the mutation, however Batman changes back into Bat-Hulk and goes on a rampage, before ultimately finding the Joker, Riddler, and Penguin and joining up with them in their next criminal plot. 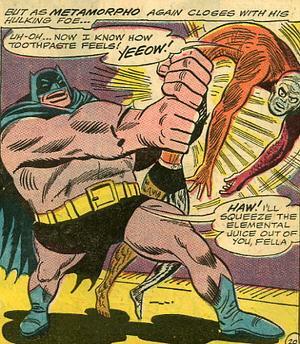 Metamorpho goes after the crooks, and battles the Bat-Hulk, until the creature is struck by lightening causing the mutation to reverse and curing the Caped Crusader. The three criminals are then quickly rounded up and taken off to jail. 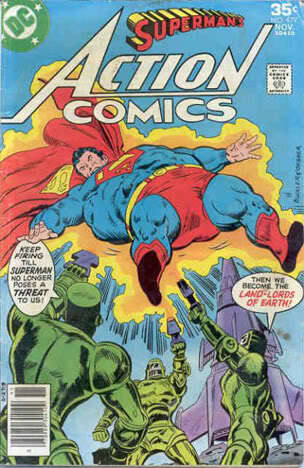 On the one hand I hope Marvel sued the pants off DC. 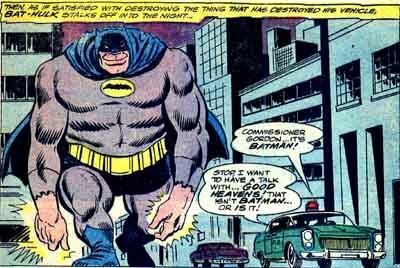 On the other hand, I’d love to see The Hulk put on a Bat-suit and battle crime, cruising around town in his gigantic green Hulk-Batmobile. 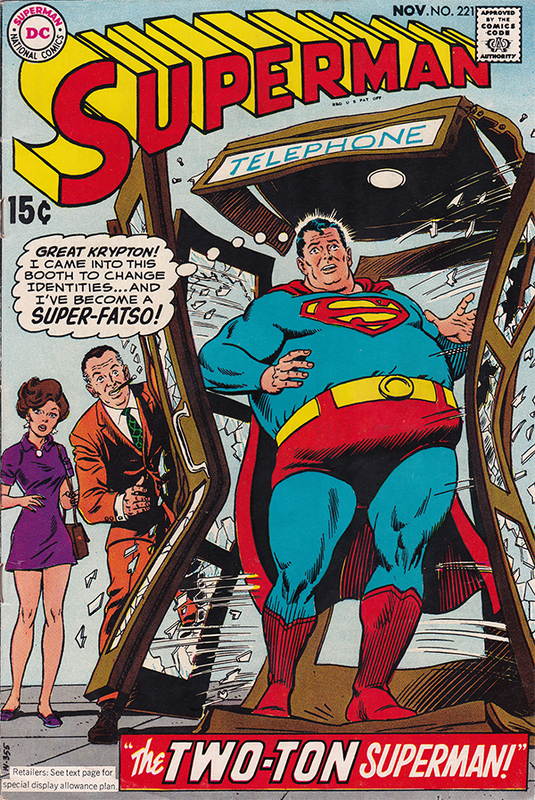 And now for something completely different, three comic book covers featuring a fat Superman.